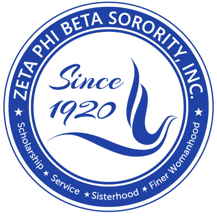 The first two chapters in the Pacific Region were both in Los Angeles: Gamma Sigma Zeta and Theta Eta Zeta. They later merged into Alpha Psi Zeta Chapter in 1955. Xi Alpha was the first undergraduate chapter in Los Angeles, located on the campus of Occidental College. The State of California is now home to over 35 graduate & undergraduate chapters and is residence to the home chapter of the 23rd International Grand Basileus, Sheryl P. Underwood.